Remove the cap and fill to line. 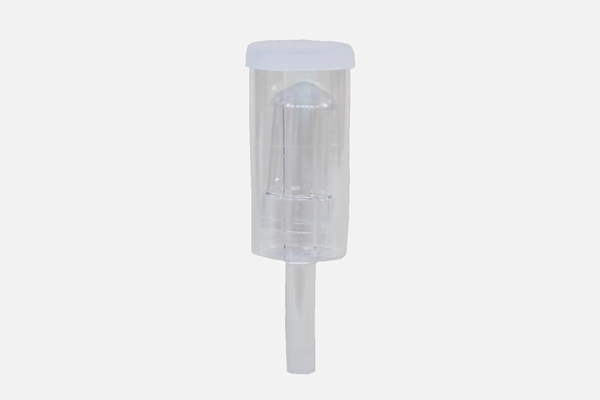 Place the three piece airlock into a rubber bung stopper with hole, an airlock grommet, or a 64 ounce jug screw cap . Create a closed and hygienic system for fermentation that allows carbon dioxide to escape. Keep out particles that contaminate your vegetables, wine, kombucha, mead or beer. Durable plastic and design that is easy to disassemble and clean out in case of an explosion. Clean with warm water and soap. Works on fermentation buckets, jars, and glass fermenters. If the fermentation backs up into the airlock 3-piece airlocks are easy to clean with an straw cleaning brush.